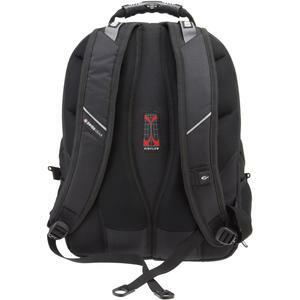 SwissGear Backpacks, made by Wenger, are among the most popular knapsacks in the world. Wenger is a company located in Switzerland famous for its Swiss Army knives. 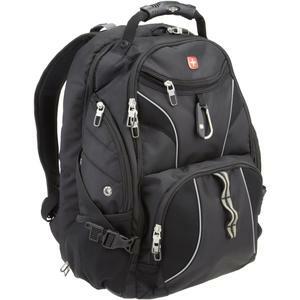 Since being acquired by Victorinox in 2005, though, Wenger has begun manufacturing backpacks through its SwissGear line. Since then, the brand has been building solid track records and excellent rapport with the consumers. This is evident from the sheer number of backpack reviews that are positively in favor of the brand. This edition is about the SwissGear ScanSmart backpack reviews and let’s take a look at just it fares when put it under our backpack selection microscope. Measuring 8.5 inches in width, 18.5 inches in height, and 15 inches in length, the SwissGear ScanSmart is an excellent choice for both high school students and weekend travelers alike. The backpack, which tips the scales at an incredibly light 4 pounds, was built for comfort and organization. SwissGear infuses all of the shoulder straps on its backpacks with air mesh padding that provides long-lasting comfort and offers excellent durability. Additionally, the ScanSmart series is distinguished by its heavily pocketed interior. There are particular pockets designated for a mobile device, an MP3 player, keys, credit cards and personal identification, and power cords. Name any daily essential and you can easily find a good fit pocket for it. 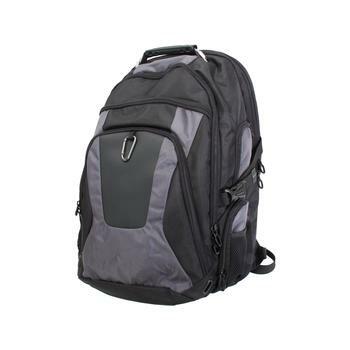 For the technologically savvy consumer, the ScanSmart is great because it has an easy access side entry laptop compartment, which means that you do not need to empty the backpack of its contents to get at your computer. The knapsack also has an audio interface that enables the wearer to run headphones from the MP3 player pocket to your ears without worrying about getting your records tangled, twisted, or damaged. SwissGear constructed its ScanSmart backpack out of durable, water-resistant polyester that will stand up to the weather in all four seasons with ease. As a frequent traveler, my favorite component on the ScanSmart backpack is the side entry laptop compartment. One of the most hectic parts of flying is that dreaded TSA security checkpoint, where well-intentioned officials will ask you to remove your computer from your backpack, and place it on the X-ray scanner. In doing so, though, I have a tendency of rumpling otherwise neatly folded clothing, or crinkling important paperwork. However, because of the separate entry pocket on the ScanSmart, I can access my laptop in mere seconds without having to move anything else around. This may not be the most TSA checkpoint-friendly backpack, but it is good enough at least for my experience. Another great aspect of the ScanSmart is the densely padded shoulders and back compartments. As someone with lower back issues, I appreciate Wenger’s commitment to stuffing the shoulders of this pack with pillowy mesh and gel cushion inserts. In my experience, many companies tend to skimp on the cushioning of their laptop backpacks, opting instead to save on space and weight that will be taken up by the laptop. With the previously mentioned side pocket, though, I was able to have the best of both worlds. Other SwissGear customers are big fans of the pack’s organized pocket layout, elastic water bottle holder, audio interface for a headphone-to-mp3 hookup, as well as a nice amount of storage for books, clothes, and misceallenous supplies in the ScanSmart’s interior. Negative reviews of the SwissGear ScanSmart are few and far between. 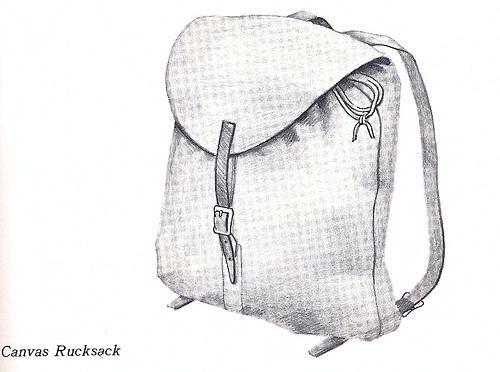 Some ladies indicate that the backpack is too bulky, too large, and too heavy for ladies with slender frames. 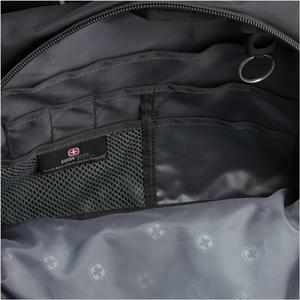 Most other complaints from SwissGear users show that some folks were frustrated with the backpack’s rather faulty stitching. That is, after only a few weeks or months of use, many of the exterior stitches on the ScanSmart were busted loose. I have closely inspected my ScanSmart backpack and see no evidence of loose stitching. The number of such complaints is not particularly high but it is always good to keep in mind nonetheless. Manufacturing defect could be the major culprit and you might want to keep a look out on such issue before the 3-year warranty runs out. Personally, the only issue I encounter with the ScanSmart is the quality of the zippers. On this backpack, they are flimsy in nature and rather light, and I am concerned about how they will hold up over time. So far, so good, though. Now that you’ve seen how the SwissGear ScanSmart backpack when placed under close examination, you should have a good idea on what to expect from it. Its status as one of the top selling laptop backpacks is well reflected in the generally positive SwissGear ScanSmart reviews. For ladies who find this backpack to be too bulky, you may want to check the other best-selling laptop backpacks and see if you can find one that suits your size. Or maybe if you are looking for bags that are high on style, you may want to check out our pick for the best fashion backpack.